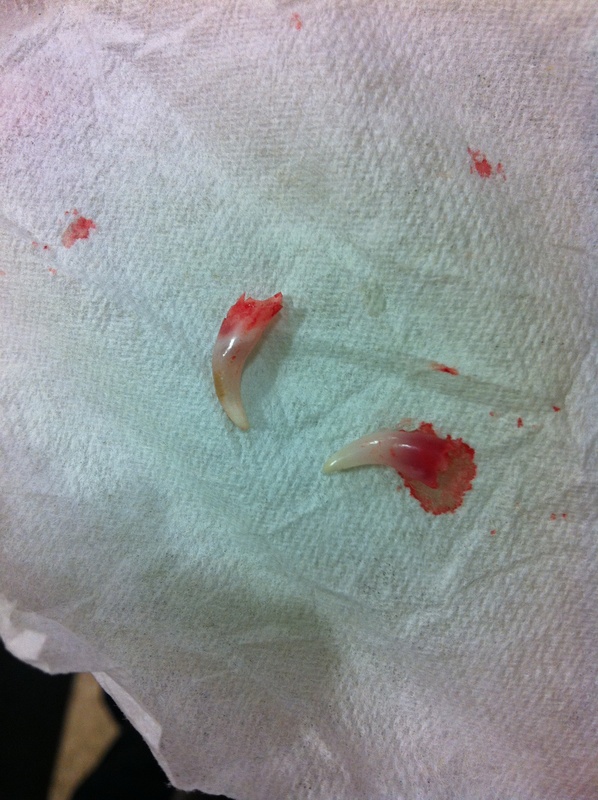 Kuma’s teeth are dropping like flies!! 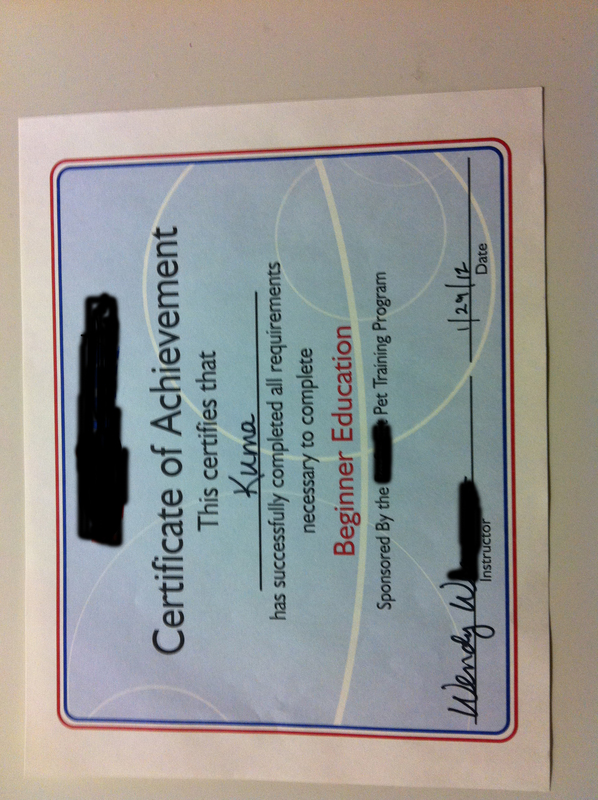 Last week at puppy class Kuma lost his two top puppy fangs all in a span of about 5 minutes. It happened during a rowdy play session with an energetic border collie. All of a sudden we heard a pin drop and then realized it was kuma’s teeth. No one was happier to see those fangs fall out than us. 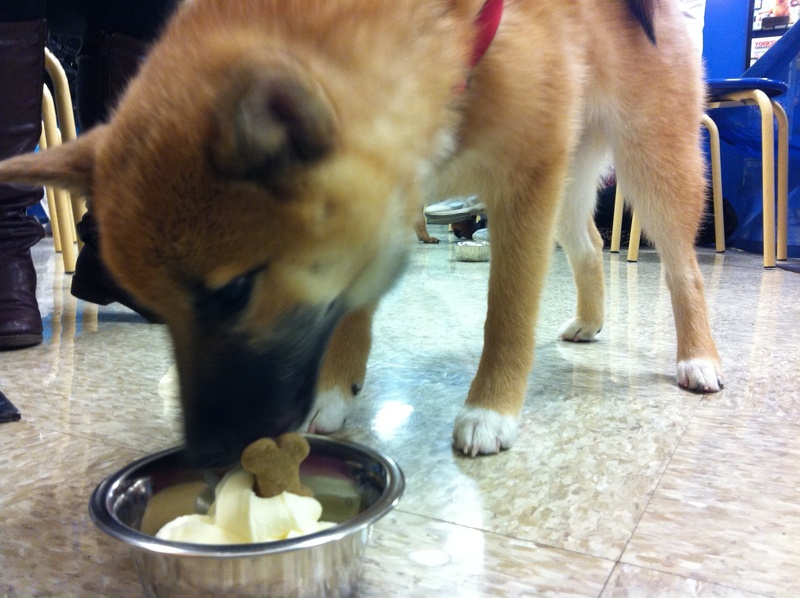 At the end of class all the puppies got ice cream, this provided Kuma some brief anesthetic after a rowdy play session. 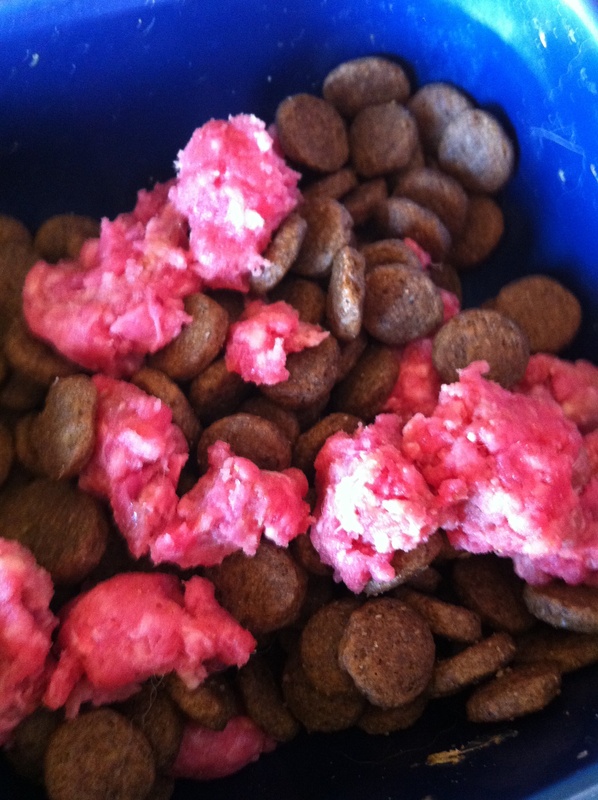 We are slowly getting Kuma to try a little raw cuisine. For Superbowl Sunday Kuma enjoyed a little bit of raw beef mixed in with his “Taste of the Wild”. He wolfed it! Kuma is a party animal! He LOVES to play! He plays very rough! This turns off some dogs, but others are down for the rough-housing. Shiba owners, what is the best way to make sure a puppy learns that different dogs require different intensity levels during play? Is this just typical puppy naiveness that will just run it’s course? Kuma is getting older and we are seeing more and more of his Macho-Shiba mistique. His adult teeth are coming in, his shoulder are becoming more broad, and he is becoming more and more confident, and marking his territory (only outdoors so far. Thank God!) . And that means!! !…..Dun, dun dunnnnnnnnnnn! !……..neutering in the near future.